A better and more constructive day all around for Asian equities as most markets reopened (S. Korea still off) for business. With both the Shanghai and Hang Seng opening firmer, a steady trend developed to return 1% for both indices. 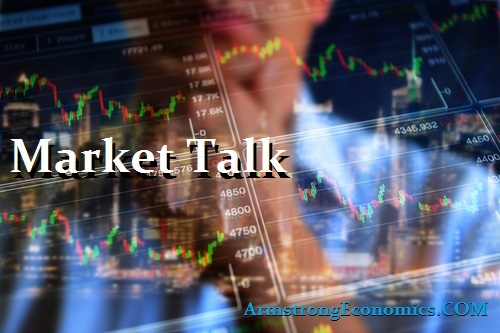 Remarks overnight from US President Donald Trump failed to assist US trading or external commitment, but core Asian equities tended to ignore this in favour of a recovery bounce. The Nikkei made headway after a morning rout, rallying over +0.4% by the close whilst the Yen played in the low 113’s. Shanghai and HSI were strong all day. The SENSEX saw the opposite price action to the Nikkei. Having open at the days highs, the balance of the time was spent hitting bids. It did manage a small bounce by the close but still lost -0.35% on the day. The INR is struggling to resist the 73 figure, but this does not look like it can survive for much longer. Expecting the Rupee to continue its weak trend unless some positive constructive action is taken to alleviate the issues. Obviously, the big FED news is too late for the cash markets, but futures are responding well with the Nikkei up around 1% so far. European markets almost seemed as though they did not believe the FED was going to raise rates this evening, especially with Bond yields falling. Peripherals markets too were lower with Italy, Greece and Portugal all trading higher (price – yield declining). The Euro and GBP both seemed to neglect that FED’s move, having seen the 25bp hike to 2.25%. Understandably, stocks were quiet and small positive, but to see currencies also strengthening is interesting. The CAC was the best of the bunch today and that was probably down to a few select benchmarks that helped via regulatory announcements (Airbus), but most were happy to play the wait and see game. Interesting that its the CAC that returns the best on a day the Confidence Survey reflects an unsettled outlook. The Italian budget tomorrow will be very closely watched. The fear that the sums maybe greater than expected will set the trend for BTP’s in Thursdays trading. BREXIT, not such a hot topic today, may warrant attention tomorrow as new headlines late this evening suggest the odds of a ‘No Deal BREXIT’ are edging more towards this outcome. This comes after late news this evening that the UK’s Autumn Budget (Oct 29th) will be presented three weeks early and only a week after a possibly controversial BREXIT meeting with the EU on Oct 18th. We could possibly have a flash view of European inflation numbers tomorrow (which are not due until Friday) because German will release its inflation report and the Commissions outlook tomorrow morning. US was all about the FED’s decision and the likelihood of monetary normality going forward. The 25bp hike initially lifted stocks and the currency but only to fall back by the close. The statement was a little more optimistic that probably expected, but this didn’t help the DOW by the close. The FED is not finished as it is likely to raise rates again in 2018 and probably another four times in 2019, the market predicts. The about turn happened during the press conference, but still looks as though dealers are ignoring the numbers. Jerome Powell the FED Chairman said they did not see a surprising uptick in inflation and that that was not in their forecasts. This comment hits bank stocks and flattened the US Treasury curve even more. This just shows how jumpy the market is right now, but will be interesting to see where we close on Friday for quarter end numbers. Japan 0.12%, US 2’s closed 2.82% (-2bp), US 10’s closed 3.05% (-5bp), US 30’s 3.18% (-5bp), Bunds 0.52% (-2bp), France 0.84% (-1bp), Italy 2.85% (-2bp), Turkey 17.79% (-9bp), Greece 4% (-2bp), Portugal 1.88% (-2bp), Spain 1.52% and UK Gilts 1.59% (-4bp).